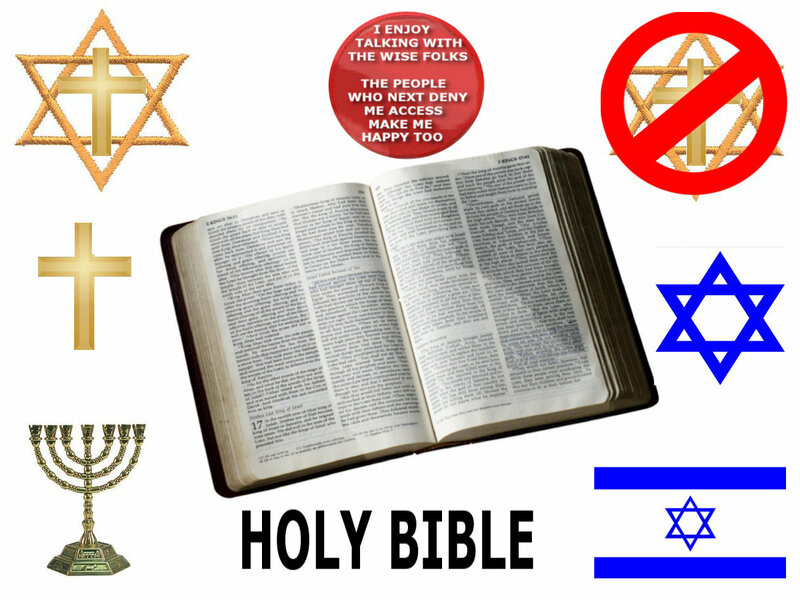 Although Christianity was preceded by the Old Testament Bible Christianity is a New religion, based on the New testament Bible, and it is not a continuation of the Judaism, it is not a revised Judaism as well. The New Covenant is not a continuation of the old but it’s substitute, replacement. Now Judaism, plus JEWS are now dead to God and are Satanic! “…I know the blasphemy of them which say they are Jews, and are not, but are the synagogue of Satan.” —Revelation 2:9 Now the first Christian church was also s composed Mostly of Gentiles, of Greek speaking apostles and Gentiles and the Apostle Paul himself had helped to bring New Gospel of Salvation to the gentiles. Christians have been praying for the peace of Jerusalem, and yet, there is still no peace today in Jerusalem. Far from it! Great civil unrest exists in Jerusalem amongst Jews, Christians, Muslims, Arabs, and Palestinians. Should we still pray for the peace of Jerusalem? Messianic Jews especially and some well-meaning Christians take an isolated verses and demand that we all pray for the peace of Jerusalem. They use the book of Psalms: “Pray for the peace of Jerusalem: they shall prosper that love thee” (Psalm 122:6). Some of these supposed brethren claim that if we pray for peace to come to Jerusalem, then that will make Jesus Christ come back to Earth quicker. GOD NEXT NOT ONLY KICKED THE JEWS OUT OF ISRAEL IN 70 AD.. BUT BECAUSE OF JESUS CHRIST HE CHANGED THE WORLD’S CALENDAR, PROCLAIMING HIS NEW ERA AND TODAY IS 2013 AD, AFTER THE DEATH AND RESURRECTION OF JESUS CHRIST. The New Covenant, New testament was written in Greek and there is loads of undeniable evidence of this. Jesus was referred to by his Greek name always and not by any Hebrew name too.. Many people fail to realize the significant effect that the Greeks and Romans had made by their Middle eastern conquests on the language usages in the middle east, the areas of the Greek and Roman Empire, even at the time of Jesus Christ. THE HEBREW LANGUAGE AT THE TIME OF JESUS FOR ALL PURPOSES DIDN’T EXIST. It is an undeniable documented fact that when the Ten Tribes of Joseph, known as “Israel or Ephraim,” were taken into “captivity” in c.800 BCE by Assyria, they ceased to exist as a separate people because they lost their use of their Aramaic/Hebrew language and their sense of Israelite tribal identity. Their Conquests by the Greeks, Romans had helped to further this.. Acts 14:1 And it came to pass in Iconium, that they went both together into the synagogue of the Jews, and so spake, that a great multitude both of the Jews and also of the Greeks believed. Thus Greek speaking gentile Church was separate from the synagogue of the Jews and the norm of the early church, it was composed members who no longer practised the Old Jewish, Mosaic religious Laws. Jesus Christ alone now was now worshipped and not rather the Prophets or Moses. Galatians 3: 28 There is neither Jew nor Greek, there is neither bond nor free, there is neither male nor female: for ye are all one in Christ Jesus. It is a also a fact that if you base even your Christian theology on the Old Testament alone or the false Messianic Jewish interpretation of the New testament too you will be in serious, grave error, major error. Messianic Jews and Christians tend to still even differ as to how they see the forming of the Christian church. For the Messianic Jews the Church was composed originally of mainly Jewish speaking Apostles , Jews and is a reformed version Judaism.. the New testament was supposedly originally written in Hebrew even if there is absolutely no sub satiating go it anywhere, and the Apostle Paul is disliked cause he betrays Judaism, But for the Christians the church is composed of Greek speaking apostles and Gentiles ,,and the Apostle Paul is liked cause he helps to bring Salvation to the gentiles.. . Forget the Messianic Jews spin doctors, Messianic Jews still tend to be liars who tend to hate Christians, the Church..
1 Corinthians 1:24 But unto them which are called, both Jews and Greeks, Christ the power of God, and the wisdom of God. The following passage is found in the extant Greek manuscripts of Josephus . Here is the text in Greek. Ginetai de kata touton ton chronon Iêsous sophos anêr, eige andra auton legein chrê: ên gar paradoxôn ergôn poiêtês, didaskalos anthrôpôn tôn hêdonêi talêthê dechomenôn, kai pollous men Ioudaious, pollous de kai tou Hellênikou epêgageto: ho christos houtos ên. kai auton endeixei tôn prôtôn andrôn par’ hêmin staurôi epitetimêkotos Pilatou ouk epausanto hoi to prôton agapêsantes: ephanê gar autois tritên echôn hêmeran palin zôn tôn theiôn prophêtôn tauta te kai alla muria peri autou thaumasia eirêkotôn. eis eti te nun tôn Christianôn apo toude ônomasmenon ouk epelipe to phulon. write anything bad about the jews, israel and some will slander you immediately and call you a liar, terrorists or anti semite. This entry was posted in Christian, Christian Life, Christianity, News & Politics, Relgious Christianaty and tagged Bible, Christ, Christian, Christianity, church, churches, Deacons, Elders, faith, God, Holy Spirit, Jesus, Jesus Christ, Messiah, pastor, pastors, Prophecy. Bookmark the permalink. Pingback: You are a Messianc Jew? | Missing the point?